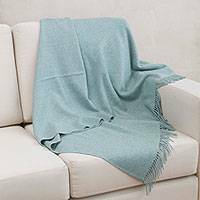 Bringing a blissful vibe to your home decor, this lovely throw blanket is presented by Marita Cornejo. Working with local Peruvian artisans, she invites you to celebrate the soft, pleasurable feeling of 100% baby alpaca wool. 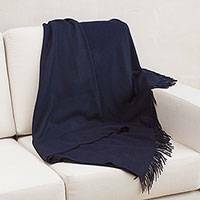 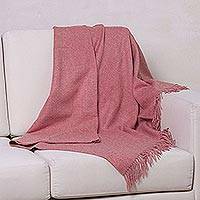 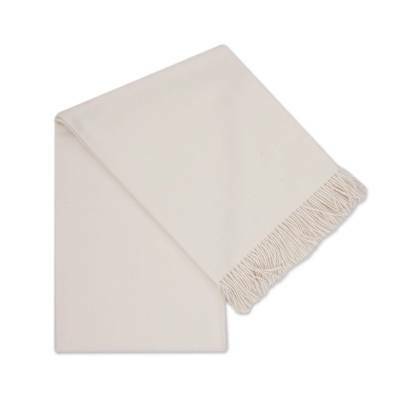 A solid color in alabaster gives the throw an innocent look, completed at each end with fringes. 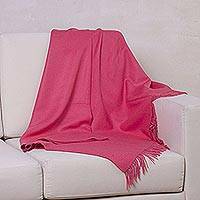 Baby alpaca refers to the fine fleece from the season's first shearing.